Spinal cord injuries can have disastrous effects on a person’s life because they can impact the body’s most basic functions. Depending on the severity of a spinal cord injury, patients may find themselves unable to walk. In situations like these, patients work with a variety of medical professionals to regain the ability to walk, so they can return to as much normal bodily function as possible. Let’s take a look at what a spinal cord injury involves and what patients generally do to regain the ability to walk. The spinal cord is a crucial part of the body that’s responsible for sending signals from every corner of the body to the brain and vice versa. This includes signals for pain, sensation, and movements. 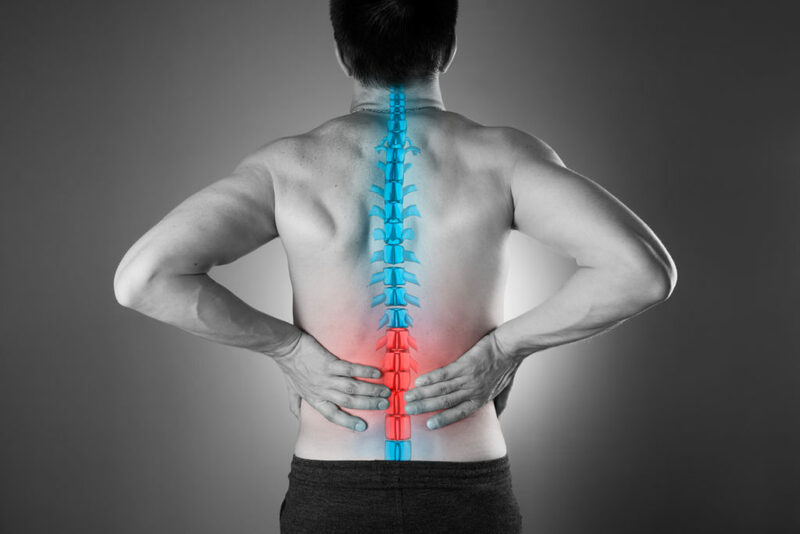 A spinal cord injury happens when any part of the spinal cord, or nerves located in the spinal canal, are damaged because of an injury or medical condition. Spinal cord injury can lead to a variety of symptoms, including loss of movement or sensation in different parts of the body, loss of bowel or bladder control, trouble breathing, sexual function changes, or pain in different parts of the body. When spinal injuries are significant, they can decrease or completely stop control and mobility in parts of the body. People who suffer from significant spinal injuries can find themselves unable to walk because they can no longer control their legs as they did before. Physiatrists specialize in physical medicine and rehabilitation. These doctors treat a variety of medical conditions that affect the spinal cord, brain, nerves, bones, muscles, tendons, and ligaments. Individuals who suffer spinal cord injuries typically work with physiatrists to treat the injuries. To improve the health issues of their patients, physiatrists use a variety of treatments including ultrasound-guided procedures, spinal injections, nerve stimulations, peripheral and spinal block and ablation procedures, disability assessments, and more. These treatments help return functionality to the body that has been reduced or stopped because of the injury or condition. Physiatrists help individuals regain the ability to walk through a patient-focused combination of treatments that help the spinal cord injury heal and rehabilitate the body. Depending on the severity of the spinal cord injury, rehabilitation protocols can vary. If the goal is to get walking again, patients are likely to use a combination of modalities working with a physiatrist, a physical therapist, a rehabilitation specialist, or an occupational therapist. Patients who require significant time to walk again may also work with a rehabilitation psychologist to adjust to the changes in their lives better. The combination of treatment and guidance from these medical professionals makes up the rehabilitation strategy for each patient. The time period a patient needs to rehabilitate depends on the patient’s injury and ability to heal. Some patients can take a few weeks to regain the ability to walk, while others take several months or longer. If you are suffering from a spinal cord injury, it’s crucial to find an experienced and caring orthopedic team to help you get better. The Orthopaedic Associates of Central Maryland have a team of board-certified orthopaedic surgeons, physiatrists, and podiatrists with expertise in state-of-the-art and advanced orthopedic treatments. To get effective, patient-focused treatment for your spinal cord injury, call (410) 644-1880 and make an appointment today. You can also request an appointment online.